Next year, Sierra Nevada Brewing Co. will celebrate their 30th anniversary and will mark the occasion with a yearlong commemoration of the trailblazing brewers who helped transform America into the world’s most exciting brewing nation. In 2010, Sierra Nevada will be teaming up with the founders of the craft beer movement to benefit select charities and beer drinkers across the country. March of 2010 will see the first of four beers in a series of collaborative projects with America’s craft-brewing pioneers: Fritz Maytag of Anchor Brewing; Jack McAuliffe, founder of New Albion Brewery; and authors, homebrewers, and beer advocates Fred Eckhardt, and Charlie Papazian. Together, this group is credited as ‘the men who launched a thousand breweries;’ and without them, our current day craft-beer-renaissance might never have happened. This project will begin where craft brewing started—Anchor Brewing Company in San Francisco. Maytag bought the historic brewery in 1965, and his vision for American beer changed everything. In December 2009, these pioneers gathered at Anchor to catch up, reminisce about craft beer’s beginnings, and share their vision for the project. 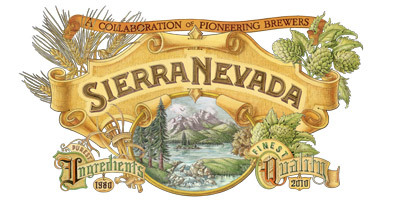 The beers will be released periodically throughout the year, starting with the first release in March, and continuing until Sierra Nevada’s 30th Anniversary on November 15. These limited-release 750ml cage-and-cork bottles will be available at select retailers and beer-centric bars. These beers will be much more than a tribute: Proceeds from the project will go to benefit select charities chosen by the four pioneers. Sierra Nevada started in 1980 with a humble hand-built brewhouse and some interesting ideas about beer. Today it’s America’s longest-running craft startup, and boasts the number-one best-selling craft brand in the country—the legendary flagship, Pale Ale. A lot has changed in the generation since Grossman first met these brewing pioneers. When Sierra Nevada first opened its doors, there were less than 50 breweries in the United States. Today, there are more than 1,500 craft breweries in operation, and American brewers lead the world in variety of styles, innovation, experimentation, and quality. Follow this collaboration of pioneering brewers at www.sierra30.com. Hopefully it will be a bit more available than Life and Limb. It was distributed in Delaware one case, 12 bottles at a store. Most did not make it past the employees. If they aren’t going to make enough for the people who give them the money to stay in business I would rather they make none. The online beer store brewforia.com backordered some Life & Life recently, and I was able to pick up a couple of bottles. Interesting and complex beer. Smoky up front, and there’s a woody feel to it that reminds me of DFH Palo Santo Marron. I agree that they should make more of an effort to produce a larger batch.